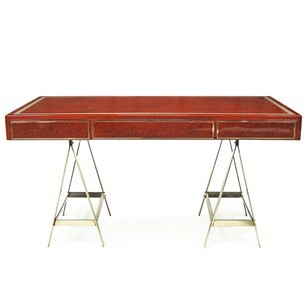 1970's Reception table designed by Zevi, Italy. 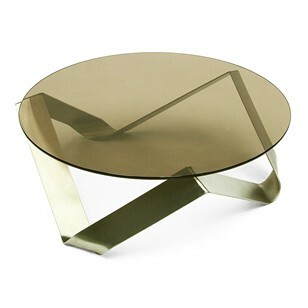 Cream laminate base with a brass plate design. 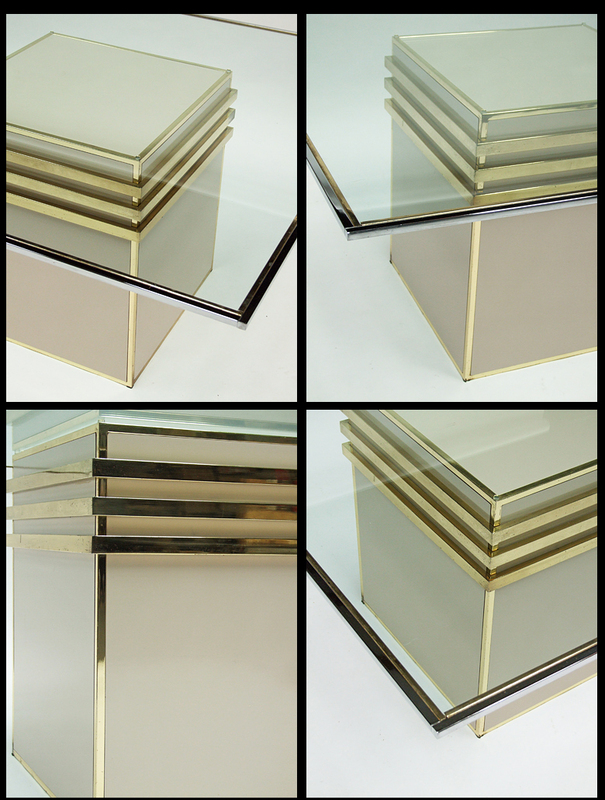 Large square clear glass top with a chrome and brass plate metal frame. 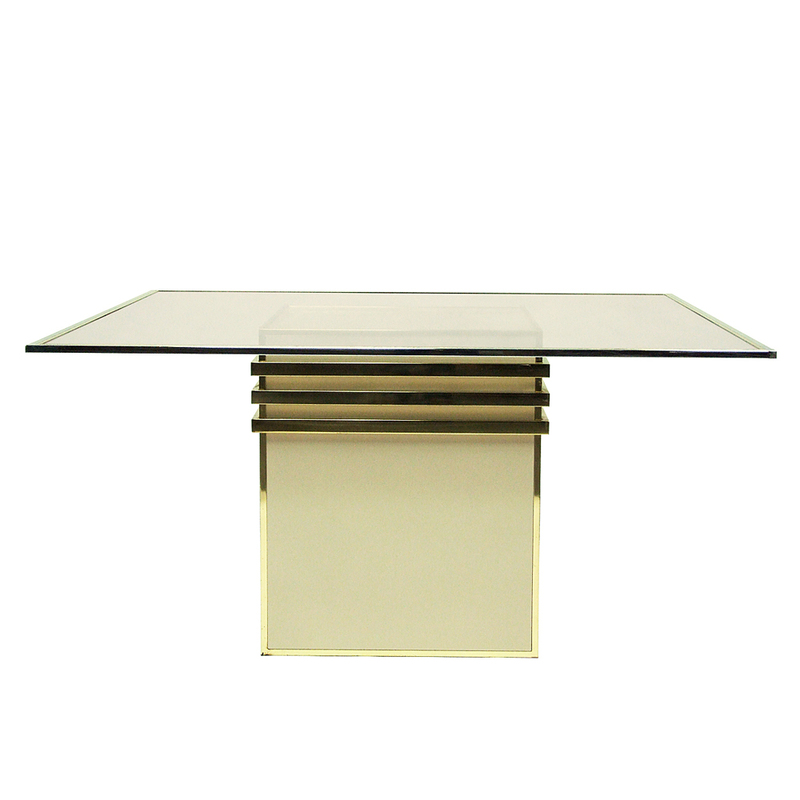 The table does have some light pitting to the metal, but this is consistent with age and overall is in good vintage condition throughout.